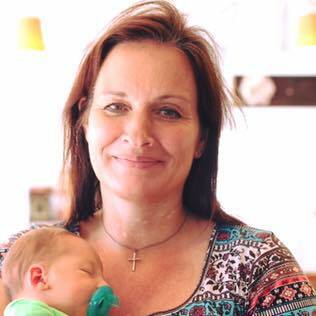 Parenting tips for busy moms, homeschooling, printables, budgeting, organizing, and more. 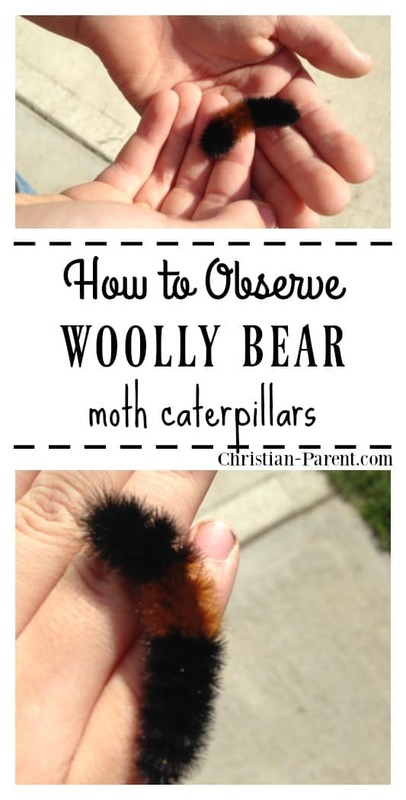 October 16, 2013 1 comment on "How to Observe Woolly Bear Moth Caterpillars"
My boys and I are always looking for new little creatures to study for science. That is one of the great things about homeschooling, we get to study all the bugs and creepy crawly creatures we discover when we are out enjoying Mother Nature. This past weekend we went camping to enjoy the cool fall weather, and saw something we had never seen before. We saw literally hundreds of big fuzzy caterpillars, most of them trying to crawl across the road! It was a strange sight. As you drove down the road, you could actually see the caterpillars on the road. It was very tempting to try to swerve to avoid them! My boys captured four of them and we brought them home to study. We had big dreams of our caterpillars transforming into beautiful butterflies, but were very disappointed to find out that these fascinating creatures actually turn into big brown moths! According to Wikipedia, these caterpillars turn into Woolly Bear Moths, also called the Isabella Tiger Moth, or in Latin Pyrrharctia isabella. 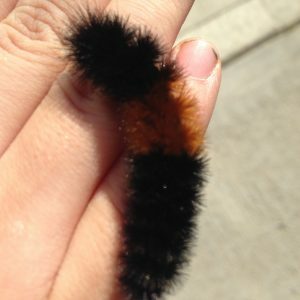 These caterpillars are distinctive looking in that they are very big and fuzzy, mostly black with an orange band of varying sizes going around the middle of the caterpillar (some people believe that the size of this band is a prediction of the severity of the coming winter). What is curious about these caterpillars is that they actually live through the winter in the form of a caterpillar, freezing solid. Even their blood freezes! In the spring they thaw out and turn into their moth form. Apparently after the moth emerges from the cocoon, they only have days to mate before they die. Seriously, how sad is that. After making it all through the winter they only get to enjoy life as a moth for a couple of days. Ah well, we placed our caterpillars into our empty butterfly garden, and plan to place the butterfly garden outside until spring so that the caterpillars have a chance to freeze for the winter. My boys agreed that it is not good to interfere with nature and that we should keep them outside so that they could become moths in the spring. If you decide to watch these interesting caterpillars, make sure to give them lots of plants to eat. They especially like herbs like milkweed. If you are keeping them for the winter, make sure to also place sticks in the habitat so that they have something to attach their cocoon to in the spring. These woolly caterpillars are really fun to watch. When they are scared or sleeping they roll up in little balls. When they are crawling around they are quite fast! Kids will have a great time watching their activities. After they come out of the cocoons, place sliced fruit in with them so that they have something to eat. Let your children observe the moths for a day or so and then let them go so that they can go find a mate. Spring is going to be exciting around here…what with caterpillars turning into moths, baby praying mantises to hatch, and tadpoles to go find! Hopefully we can find something fun to do this winter. 1 Comment on "How to Observe Woolly Bear Moth Caterpillars"
We (in Iowa) predict our winters by looking at their colors. The dark colors predicts the cold spells and the warm colors is the warming trend in the mid season. Seems we will have the beginning of winter a cold spell lasting for a long while, followed by a warm spell for a short while and lastly another cold spell. The cold spells are below normal temps. All the times I have seem these, it has came true. Copyright 2001-2018, Creative Homemaking, LLC. Powered by WordPress and Themelia. We are a participant in the Amazon Services LLC Associates Program, an affiliate advertising program designed to provide a means for us to earn fees by linking to Amazon.com and affiliated sites.